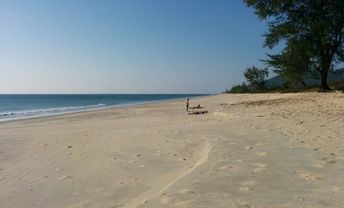 This beach ranks #4 of the "Best beaches in Myanmar"
Near the beach there are only few guesthouses that are not available for online booking. However, the situation is improving now. Fly to Yangon International Airport (RGN). Then get by bus to the city of Dawei. You may also get by bus from Thailand to Dawei. The best time to visit the south of Burma is a dry season from November to April.